The third largest island in the Aegean, Lesvos is an island steeped in history, culture and natural beauty. Lesvos, often also known as Lesbos, depending on the Greek translation, is the ancient home of the great story-teller Aesop and the poet Sappho and occupies a prominent position in Greek culture. Situated in the southern Mediterranean less than 5km from the Turkish coast, Lesvos is magnet for migrating birds as well as supporting an exciting variety of breeding species. Lesvos is an island of two contrasting halves. The east of the island is clad with olive groves (Lesvos has an estimated 12 million olive trees), pine forest and sweet chestnut woodland while the west of the island is of volcanic origin with spectacular landscapes and home to the famous Petrifed Forest. We stay at Madonna Studios in Vatera on the south coast of Lesvos. From here there will be local walks as well as a base to explore the island. There is the added attraction of taverna meals, a great feature of holidays in Greece, included in the holiday price. Although famed as a destination to see spring bird migration, Lesvos in autumn can be very rewarding for the birdwatcher with a steady trickle of warblers, shrikes, chats, flycatchers and bee-eaters passing through the island. Given luck and a fair wind, we should see migrating raptors including Eleonora's falcon, short-toed eagle and maybe lesser spotted eagle. 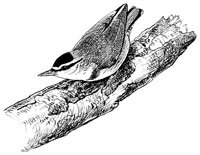 Of special interest on Lesvos is the sought-after Krüper’s nuthatch, a species of Middle Eastern origin that is very difficult to see elsewhere in Europe. 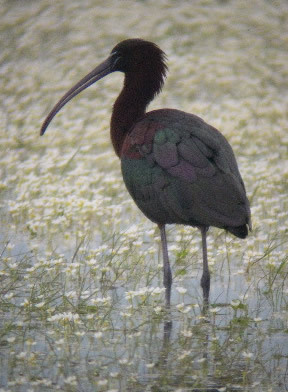 We should also see a wide range of wetland birds including greater flamingo, black stork, great white egret and migrant waders – marsh sandpiper is a good possibility. Lesvos has a great botanical diversity with over 1500 species of plants being recorded, but by September the range will be largely restricted to Mediterranean scrub, some later wayside flowers, and the occasional autumn-flowering speciality, such as Cyclamen and autumn squill. The beach at Vatera has patches of the autumn-flowering sea daffodil. Balkan (stripe-necked) terrapins are common in wetland areas and we may also see the rarer European pond terrapin. 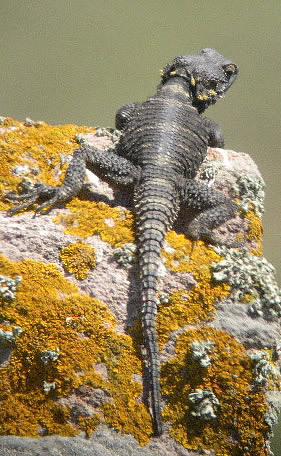 Balkan green lizards are quite common, as are starred agama lizards. With a bit of searching we may also see the European tree frog. The commonest mammal is the Persian squirrel and we may be lucky enough to see beech marten in the woodlands. Butterflies at this time could include Lang’s short-tailed blue and cardinal. There should also be some late-flying dragonflies. We will spend a day around the Kalloni Salt Pans and the pine forest at Achladeri. 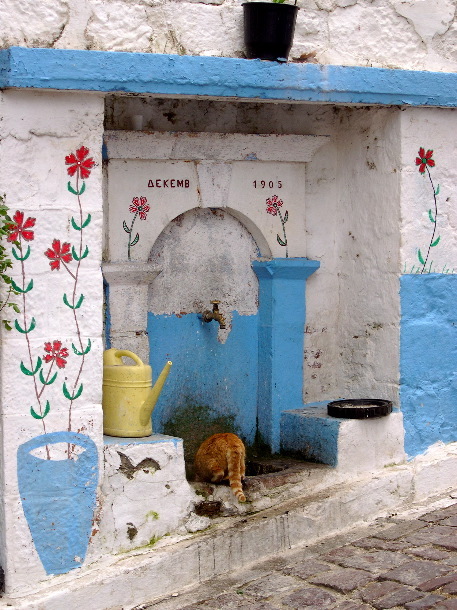 Longer day trips will be made to the mountain village of Agiassos with its spectacular wildflowers, the north coast around Petra and Molivos and the famous Petrified Forest with its 30 million year old fossilised trees. The itinerary is deliberately kept flexible so that we can react to local conditions. There is no single supplement for this week in Lesvos to match what we had planned for Crete in April, before volcano ash caused flights and that holiday to be cancelled. The price also the same as for Crete. Maximum number (two leaders): 14, but we're expecting to run this with a group of 4 - 7 and one leader. Rob Lucking is the RSPB’s area manager for north Norfolk and the Wash; his patch includes celebrated nature reserves at Snettisham and Titchwell Marsh. He helped to set up Honeyguide’s first Lesvos holiday in 2003, and remains a regular leader here. The conservation donation for this holiday went to Friends of Green Lesvos, which will put the money towards efforts to improve management at the salt pans at Polychnitos. Friends of Green Lesbos campaigns for policies and actions to defend, protect and enhance the environment of the island. 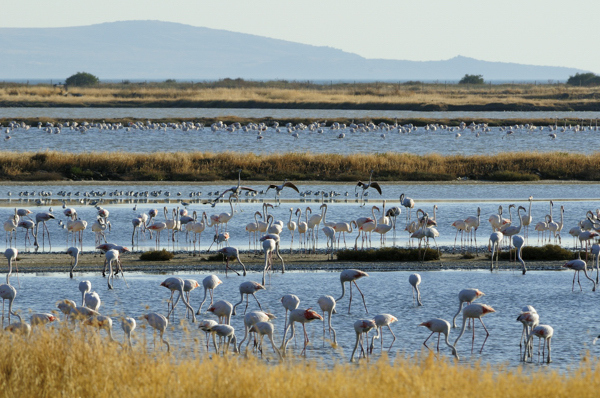 The future of the salt pans at Polychnitos and Kalloni is a current concern where the cessation of salt production threatens birds, including stilts and flamingos. 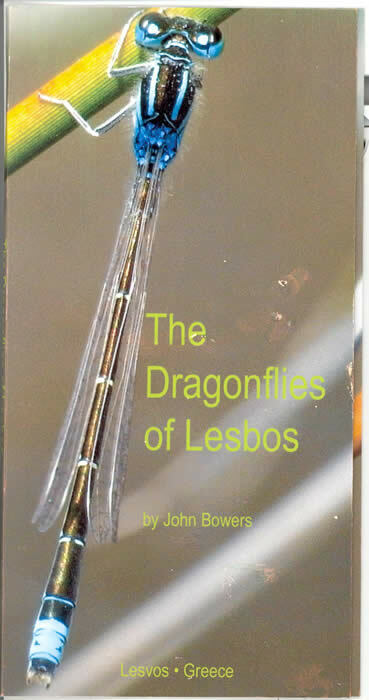 Supported by Honeyguide, in November 2008 the group publsihed a book on he dragonflies of Lesbos (right). The 43 species found on the island are briefly described and illustrated with a photograph. I tincludes a brief discussion of dragonfly ecology and habitats, illustrations of insects that may be confused with dragonflies, a gazetteer of the main dragonfly sites and a discussion of problems of dragonfly conservation. 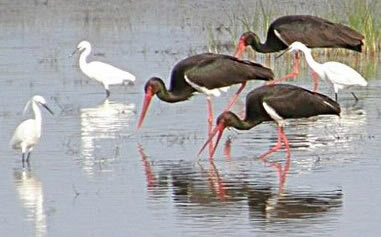 There is a network of Important Bird Areas in Greece, details of which are on HOS's website. This link takes you through to the North Aegean page, from where there are links to several areas on Lesvos. 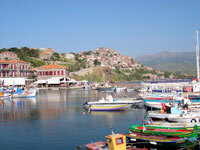 Our most recent spring Lesvos holiday was in April 2009. Our holiday report for September 2010 is here. 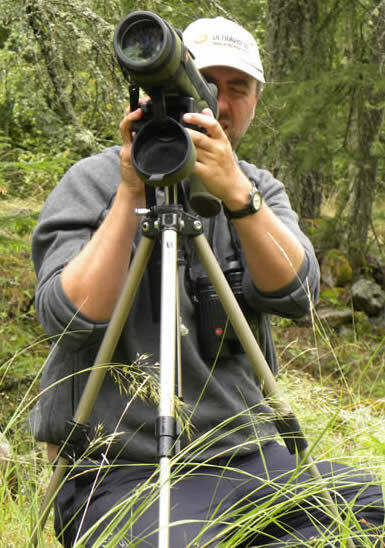 Raptor migration: John Bowers from Friends of Green Lesbos has summarised counts of migrating birds of prey over the island in several autumns. You can read his reports here.